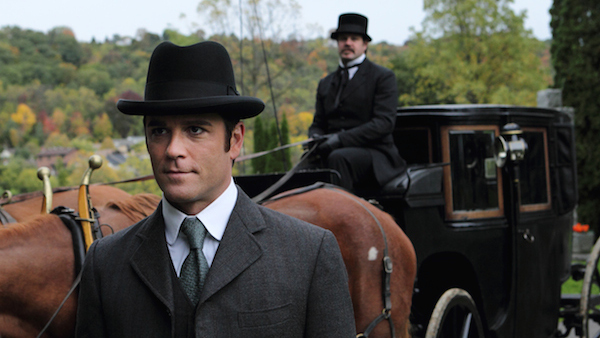 You probably know Montreal-born actor Yannick Bisson best as William Murdoch, the young and progressive Detective from the hit Canadian-made series, “Murdoch Mysteries.” But behind the scenes, Bisson is just another guy that absolutely loves burritos and wanted to be a National Hockey League (NHL) player. 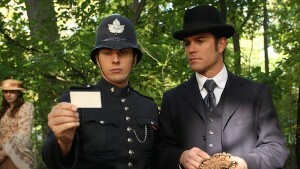 Beginning in 1895, Detective Murdoch uses radical forensic techniques like fingerprinting and trace evidence to solve some of Toronto’s most horrific murders. Even though his methods are widely questioned, Murdoch still finds a way to get to the job done. 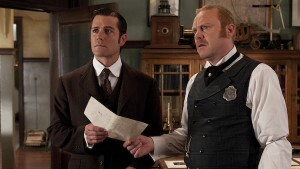 “Murdoch Mysteries” can be seen Monday-Friday at 6pm ET/3pm PT on VisionTV, beginning Wednesday, February 17. To help get you there, we did a little detective work of our own to uncover 10 fantastic facts about Bisson. Despite having spent three decades acting in various films and television shows, Bisson is not a fan of going to movie theatres during the day. If the sun is in the sky, he’d rather be outside. Some of Bisson’s favourite musical artists include ‘80s new wave band Simple Minds, epic rock act Van Halen and popular hip-hop artist, Nelly. And, even though Nelly is featured on the hit song “Cruise” by country superstars Florida Georgia Line, Bisson hates country music. Instead of just doing family vacations by a beach, Bisson loves downhill skiing so much, he often attempts to convince his family to dawn snowsuits instead of swimsuits. Bisson has been married to his wife, Shantelle, since 1990. Together, they have three daughters: Brianna, Dominique and Mikaela. As it turns out, Bisson never finished high school. According to an interview with his daughter Mikaela, Bisson only completed parts of grade 11. Bisson was featured in the 1995 remake of the Frank Sinatra film, “Young at Heart.” This is the last movie Sinatra appeared in. Bisson has stated that if he got to spend one day with anyone from history, he would choose John Lennon of The Beatles. If Bisson weren’t an actor, he’d grab some tools and be a carpenter. In fact, Bisson is notorious for his ability and interest in renovating his own homes. This entry was posted in Articles and tagged Canadian Made, Detective, Drama, explore, Family, Murdoch Mysteries, Yannick Bisson. Bookmark the permalink.